Despite how romantic it seems, I have to admit that I've never been a huge believer in the traditional definition of a soulmate: I just don't agree with the notion that there's exactly one other person floating around out there who exists to "complete" me. However, the concept of a soulmate as someone (or many someones) who fulfills me, helps me grow as a person, and shares an intense connection with me? That I can get behind. Although I believe there are many people who could potentially be "soulmate material" for me, that doesn't mean there's anything wrong with having a more romantic, traditional view of what being soulmates means. No matter your definition of the word, though, you're probably wondering: How can you tell if you've found your soulmate? "Soulmates are something you can become through work, ongoing communication, clear expression of needs, negotiation, and commitment — you’ll never find a soulmate," Astroglide's Resident Sexologist, Dr. Jess, tells Bustle. "Relationships don’t work out because you’re 'meant to be'; you can choose to make a relationship work or not work. This choice/agency is empowering and lays the groundwork for a much healthier relationship than so-called fate." Sure, it's possible to feel an immediate spark and then develop an intense connection with someone, but making a relationship last long-term takes a lot of effort beyond those initial lovey-dovey feelings. 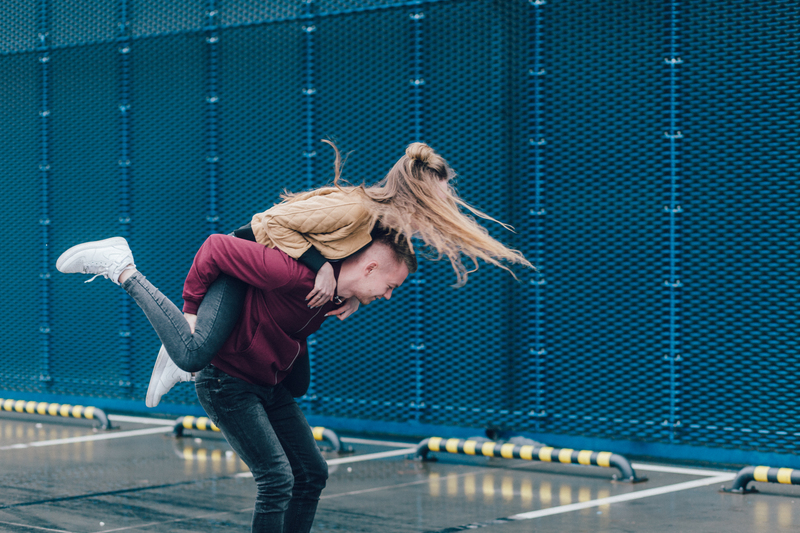 Nonetheless, there are certain things that a couple with long-term, soulmate-level potential might have in common — here are eight things to be on the lookout for in a partner. 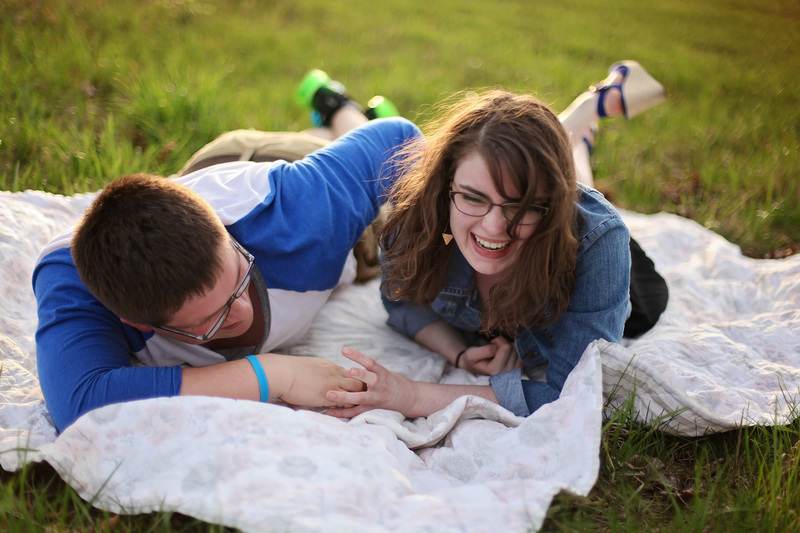 Being able to laugh with your partner is one of the most crucial components of a healthy, lasting relationship. Whether you share a dry, morbid sense of humor or you're both total goofballs, a partner with soulmate potential will be someone with whom you can act silly and spend lots of time laughing together. "If one person is more serious and the other is silly, it will not be the same connection as if both can be silly and laugh at life," Carolyn Cole, Licensed Psychotherapist and Relationship Expert, tells Bustle. "A soulmate connection... usually [means that a couple can] be silly and playful together." It's always nice to have the same hobbies as your partner, but sharing a love of cycling isn't nearly as important as having a genuine curiosity and interest in your partner's passions — even (and perhaps especially) when it comes to the hobbies you don't have in common. "It can be common to have similar interests but moreso, having a sense of curiosity and feeling intrigued towards one another [is important]," Cole says. "Even if you have separate interests, if you appreciate your partner's passions and want to learn more about their passions from them, that is important. You don't want to stop learning about your partner and what makes them 'tick'. Even the person's imperfections you learn to adore rather than becoming annoyed by them." If you're with someone who has soulmate potential, the two of you will be on the same page when it comes to major life decisions, such as when/if you should get married, how many kids you want, and where you want to settle down someday. "Soulmates will have a basic, shared vision for their future," Shlomo Zalman Bregman, rabbi and matchmaker, tells Bustle. "It's vital that a couple share a basic, overall picture of how they'd like for their lives to unfold — financially, children, spiritually, lifestyle, contribution to the world, etc. When this is in place, it serves as an irreplaceable 'true north' and helps clarify what each partner should be working towards daily, as well as helping the couple clarify how to make some of the tougher decisions in life." It's OK if you're more of a spender while your partner prefers to save — what matters is that you're able to openly communicate about your finances and budget, and come to a mutual agreement that you both stick to. "Good communication is the key to any successful relationship and when it comes to money — ignorance is not bliss," Megan Speeth, vice president of Fidelity Investments, tells Bustle. "Couples don’t always agree about money, but it’s important to have open and honest conversations with each other. Make it a priority to communicate openly, work as a team and develop a plan. This plan should help guide your financial choices, manage your expenses and investments, and finally keep you on track to reach your short and long-term goals." If you're unfamiliar, the five Love Languages — Quality Time, Words of Affirmation, Physical Touch, Acts of Service, and Receiving Gifts — represent how we each feel most loved and valued by a partner. 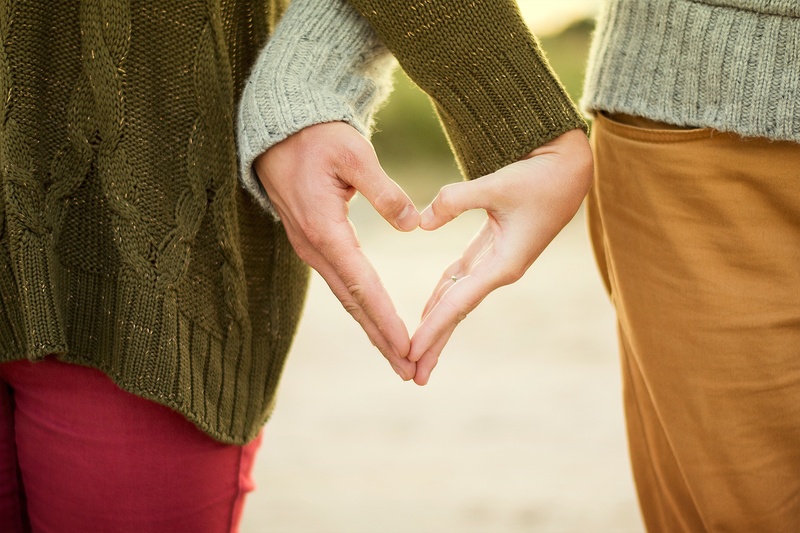 Couples who have similar Love Languages might feel a soulmate-like connection, simply because they find it easier and more natural to express their love for each other because they give and receive affection in similar ways. But that doesn't mean you're doomed if you and your partner have totally opposite Love Languages; just remember to keep your partner's Love Language in mind any time you want to show them how much you care. Don't get me wrong, it's absolutely possible to have a "soulmate" with whom you disagree on matters like religion and politics. But if you and your partner's core values and worldviews align when it comes to such important topics, your connection will feel even stronger — because you'll both just "get" each other on a deep, personal level. If you disagree on these topics, it's crucial that you still respect each other's opinions, and can come to a compromise. "If neither party agrees to compromise, the relationship simply might not be a good fit, because it could be holding each partner back from living the life that is best suited for them," Kali Rogers, founder of Blush Online Life Coaching, tells Bustle. "Core values are simply nonnegotiable." "Soulmates can be their most honest, 'real' selves around each other," Bregman says. "Whereas many people go through life holding back major pieces of themselves from everyone else, and only sharing what they want seen... when you find your soulmate, they really can 'see' you. Moreover, you will feel comfortable to be yourself and feel accepted and loved, without any pretense." No relationship is perfect, and we all make mistakes from time to time. A soulmate-tier partnership doesn't mean that you'll never argue or disagree — it simply means that when you do fight, you'll both be willing and able to admit your mistakes and solve the problem in a mature, communicative way. "Soulmates are able to admit when they're wrong or made a mistake, Bregman says. "The most successful, dynamic couples have no difficulty admitting when they were wrong and fell short of treating their significant other properly. Whereas most of the world and its relationships often boil down to people taking a defensive posture and protecting their fragile egos, when you're with your soulmate, you can pursue the truth and admit mistakes freely." Ultimately, it doesn't matter if you think there's just one person out there for you or whether you believe that we each have many soulmates depending on the time and circumstance. If you feel a deep connection with someone and you have these important things in common, you have the power to make your relationship last a lifetime.